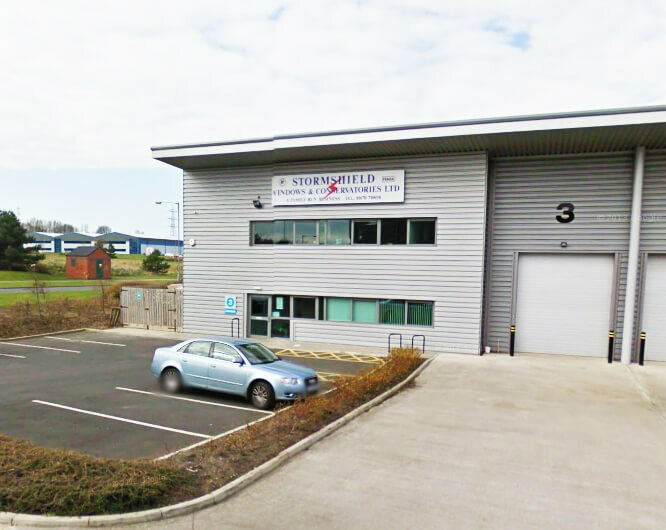 For more than 30 years, Stormshield has been helping customers across Blyth improve their homes, transforming properties into beautiful spaces, much loved by their inhabitants. We have witnessed the ever changing landscape of home design over the decades and can identify the trends that will pass quickly and the innovations that are designed to stick around for years to come. One such trend that has made a splash over the last few years is the Guardian Roof. The patented Guardian roof system is growing increasingly more popular due to its myriad benefits and ease of installation. Stormshield Guardian is an accredited installer of the Guardian Roof in Blyth. To find out more, read on. Or contact a member of our team about the Guardian Warm Roof on 01670 710050. Developed by Guardian, the Guardian Roof is a lightweight conservatory roof that is a better alternative to traditional glass or polycarbonate roofs which offer little in the way of insulation, ventilation and temperature control, among other factors. The difference between a Guardian Roof and a standard conservatory roof is that with Guardian, you get a tiled conservatory roof that offers excellent insulation, temperature control, noise reduction and more. Watch the below video to learn more about what is a Guardian Roof. Why Replace My Conservatory Roof? You may be wondering whether you need to replace your existing conservatory roof with a Guardian Roof. You may find that with your standard conservatory roof, your conservatory is not always suitable for use during certain times of year. In particular, on hotter or colder days. You see, glass and polycarbonate roofs offer little to no insulation, meaning heat does not stay in the conservatory, making it difficult to heat during the winter months. Additionally, they do nothing to protect from the sun’s glare and, similar to how a greenhouse is designed to work, they can become extremely hot in the summer. 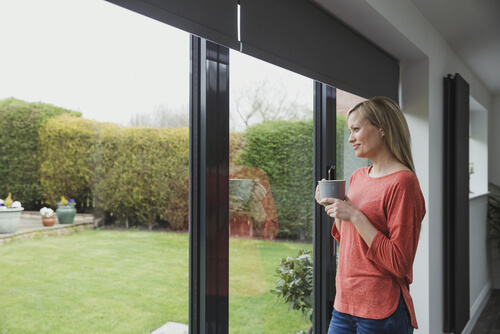 In either case, this can make it less pleasant to spend time in your conservatory, causing you to retreat into warmer or cooler parts of the house. For what you spent on installing a conservatory, surely it is not worth the investment to have something you can only use for some of the year? If this sounds familiar, then isn’t it about time you were able to make the most of your conservatory space? One of the major benefits of the Guardian solid roof conservatory is its insulating properties. A Guardian Roof conservatory is fully insulated, with an excellent thermal U-value rating of 0.18W/m2K. This means that heat does not escape the way it does with glass or polycarbonate conservatory roofs, so your conservatory retains heat. Not only does this keep you warm, creating a more cosy environment in your conservatory, but it also reduces the amount of energy you use to heat your home as less heat is escaping. This saves you money on your energy bills and is much more environmentally friendly. Thanks to the solid conservatory roof with built in insulation, you will be enjoying your conservatory more, saving energy and helping the environment all at once. To learn about more of the benefits of the Guardian roof system, click here. Before deciding whether a Guardian Roof is right for your conservatory, of course you will need to weigh up the cost. At Stormshield, we can give customers accurate quotes to help them budget for their conservatory roof replacement project. Visit our homepage to complete our simple online form and get a FREE, no obligation quote for a replacement conservatory roof cost. It is also important to remember that an energy efficient Guardian Roof will save a lot of money on energy bills, with superior insulation and ventilation properties, reducing the costs of heating bills throughout the winter months. This can be balanced out against the cost of installing the Guardian Roof. Not to mention the fact that you will be getting a lot more use out of your conservatory, being able to comfortably spend time in it all year round instead of just some of the year. Stormshield Guardian are experts in conservatory roof replacement. We retain full building control for each project so you can rest assured that the job will be completed to our high standards. With scores of happy customers over the years, we are dedicated to producing the best quality work for our valued clients. To find out more, visit our showroom or speak to a member of our team who can advise you. For a Guardian Roof in Blyth, choose Stormshield to get the best value for your money. Call today on 01670 710050. Looking for a conservatory in Newcastle? Choose Stormsheidl today.